Maker’s Mark Kentucky Straight Bourbon Whisky has been of my perennial favorites for years. I actually bought the bottle in the photo a while ago to write a proper review and, now that I found the time, I only have about a half of a shot left. 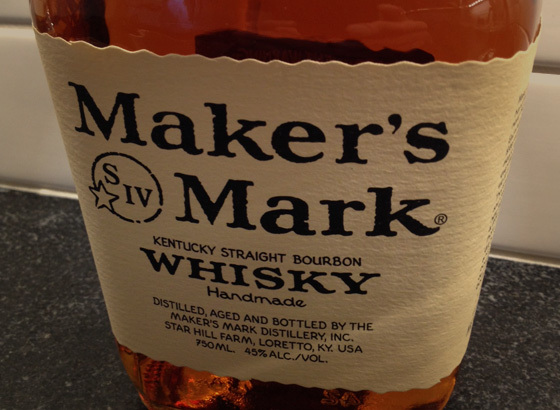 Here’s the history: Maker’s Mark was introduced to the market in 1959. Bill Samuels Sr. is credited with the recipe (apparently with a little help from Pappy Van Winkle). Bill’s wife, Margie, provided the name, created the label, and thought up the idea of the wax seal. Maker’s Mark, bottled at 90 proof, is aged for around six years. The barrels are charred for 40 seconds which opens the pores in the wood and caramelizes the natural wood sugars. Maker’s is unusual because it doesn’t contain any rye – their recipe uses red winter wheat, corn, and malted barley for the mash which creates a sweeter product. The wax drip alone makes the bottle distinctive on the shelf. It has a good amber color and a syrupy scent. Maker’s is on the mellower side – it has a slight burn early which quickly dissipates to reveal deep caramel-almond flavors, then finishes with a delightful maple aftertaste. It’s very easy to drink and works well with or without ice. It also makes a nice base for a more complex cocktail if that’s your thing. I think that Maker’s is a staple in any collection and, price-wise, it well worth the money. I like having a bottle on hand, but personally have trouble keeping it in stock. There are a lot of options in that range. You could do Blanton’s ($55), Bakers ($48), or Bookers ($60), Woodford Reserve ($45), or Russell’s Reserve ($51). All of these are considered very high quality and would make a bourbon drinker smile. Since it’s a gift, I would stick to the favorites. I wouldn’t get too creative with choices like Bulleit or Old Scout – both of which I like, but may not be as exciting to some folks. If you wanted something a little different you could choose a special release of a favorite like Maker’s Mark #46 ($40) or Woodford Reserved Double Oaked ($54). Also, I’m assuming you can’t find Rip Van Winkle. If you can, keep it for yourself and get me a bottle too. Feel free to leave me a comment if you have other thoughts. I had Maker’s Mark on hand, so that’s what I used. The Marker’s worked well since the sweetness is high and the orange rind complimented the maple flavors. After a few minutes, the ice melted a bit and the drink mellowed even more. Buttermilk Bourbon Barrel Aged Old Fashion is made with burnt cane sugar, orange peel, gentian root, and cinchona bark, then aged in Willett Bourbon barrels. The label touts that it’s made by humans without preservatives or stabilizers. The result is a rich mix of flavors that will not disappoint. Finally someone has written a book about my two favorite smokey indulgences. 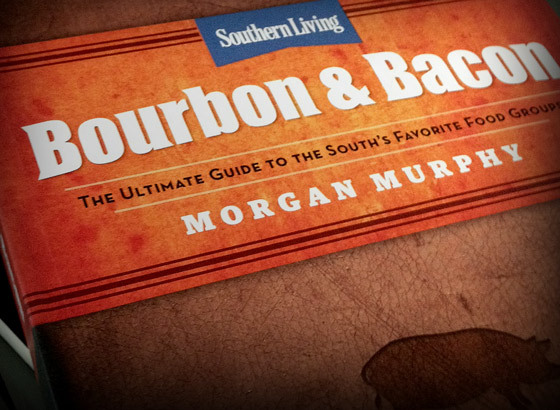 Bourbon & Bacon : The Ultimate Guide to the South’s Favorite Food Groups, by Morgan Murphy, is both colorful and entertaining. It’s packed with bourbon recipes, food recipes, and tasting notes on about 75 whiskeys (which would be particularly useful as a quick reference before you pick up your next bottle). There are also notes on about dozen or so of the country’s top bacon (aka “The Wonder Meat”) purveyors as well as an explanation of the hog’s best cuts and preservation techniques. It’s a fun read with colloquial anecdotes and witty commentary (check out the appendix of “Morgan’s Top Shelf”). It’s well-designed and has fantastic photography which makes it easy to pick up and thumb through. The book will definitely make a great gift for anyone who likes bourbon and bacon – so basically everybody you know. Update on October 12, 2014 : My wife made the bourbon and bacon popcorn recipe for a football party and it killed. We will be giving it out to the neighbors for Christmas. In addition to Jefferson’s Reserve, McLain & Kyne bottles several varieties of bourbon and rye including Jefferson’s, Jefferson’s Presidential Select, Jefferson’s Straight Rye Whiskey, Jefferson’s Ocean, and Jefferson’s Chef’s Collaboration. The bottle is fairly minimalistic with a script font that harkens to a colonial time and a small graphic of Thomas Jefferson’s home, Monticello, below. The labeling includes the inscription of “Very Old” and “Very Small Batch.” I understand their small batch approach is a combination of a small number of barrels, as opposed to several hundred as other small batch bourbons may blend. 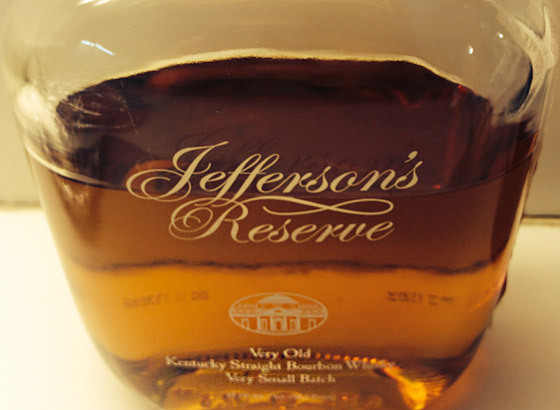 I found an an overall lightness to Jefferson’s Reserve in the glass. Medium in color and fairly benign on the nose, it’s also light on the palate. At 90 proof, it starts mellow and creamy, heats up fast, then finishes quickly. There’s a sweetness with notes of vanilla and peach, but also spicy flavors of oak and pepper. The complexity is actually pretty interesting. Although, I typically like a heavier bourbon, I have an appreciation for Jefferson’s Reserve. It’s smooth, balanced, and flavorful. I would buy it again and would not hesitate to recommend it. It’s hard to write a review of W. L. Weller without referencing it’s wildly hyped cousin, Pappy Van Winkle. Both are produced by the Buffalo Trace Distillery in Frankfort, Kentucky and both are made from the exact same wheated formula. 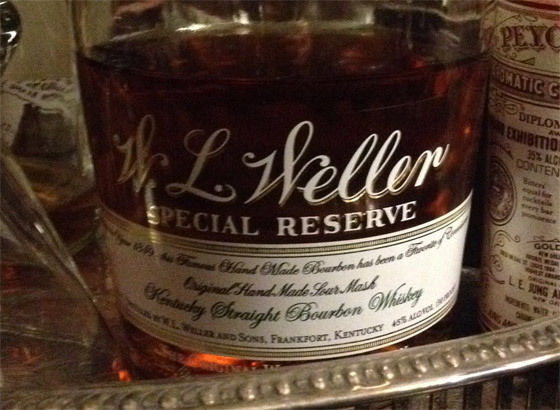 Unlike Pappy, Weller is pretty easy to find and is sold at very reasonable price. A wheated bourbon uses corn, wheat, and malt, instead of corn, rye, and malt so it doesn’t have the spiciness found in a most ryed bourbons. Weller was supposedly the first producer to use wheat instead of rye in it’s mashbill. Only a few others, like Maker’s Mark and Van Winkle, use this formula today. Weller has a good color and some decent notes of honey on the nose. Even without the rye, at 90 proof, it’s not totally mellow. I get a sustaining burn that never gets overpowering. It finishes long with some well-balanced flavors of toasted vanilla, maple, honeysuckle, and hickory smoke. I typically like to drink bourbon with an ice cube, but Weller is very drinkable neat as well. It’s a good price and has some nice attributes. I would definitely recommend giving Weller a try. 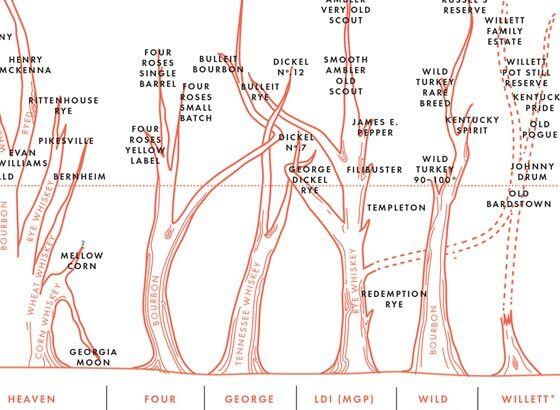 GQ recently posted an interesting infographic – a bourbon family tree showing the relationships of bourbon brands via their conglomerate parent companies. The chart and accompanying article were excerpted from The Kings County Distillery Guide to Urban Moonshining, written by the founders of Kings County Distillery, New York City’s first distillery since the Prohibition era. At Jack Allen’s Kitchen’s, Beverage Manager David Toby’s Bourbon Milkshake is made with milk, bourbon, vanilla, simple syrup, nutmeg, and Amy’s Mexican Vanilla ice cream. 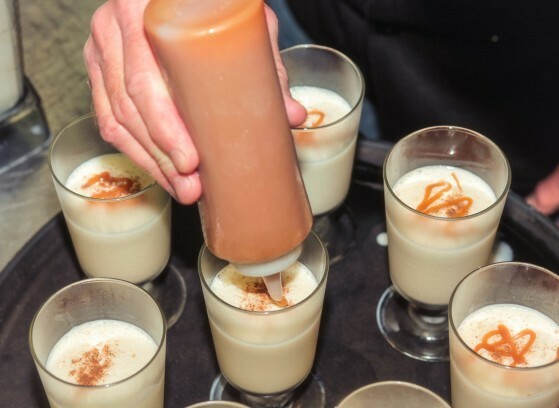 This hearty libation, appropriately nicknamed by the regular customers as “eggnog on steroids,” is a riff on New Orleans’ Frozen Bourbon Milk Punch. Combine all ingredients in a blender for 10 seconds. Pour into 8-10oz low ball glass. Garnish with a pinch of nutmeg and a drizzle of caramel. Brew coffee, then transfer it into a saucepan. Heat the while adding bourbon, orange juice, honey and cardamom everything is mixed an warm. Divide among coffee mugs. Top with whipped cream. 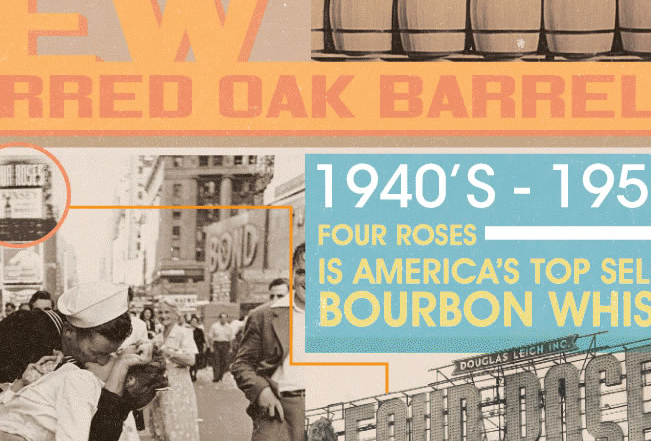 Claiming production back to the 1860s, Four Roses has deep roots in bourbon making. During prohibition, the Frankfort Distilling Company (who owned and produced it at the time), was one of only six distilleries granted permission to produce Bourbon for medicinal purposes. Several different stories have been documented about where the name Four Roses comes from, so I tend to not believe any of them. 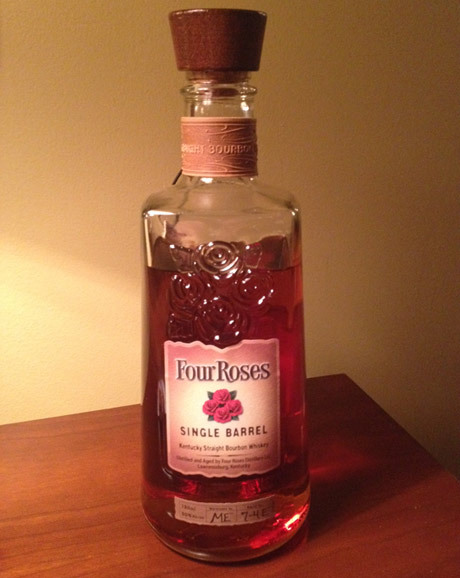 Four Roses Single Barrel Bourbon is a well-balanced and wonderfully complex bourbon. It has a bold, dark color and medium body. I get some subtle scents of chocolate and oak from the glass. At 100 proof, it is very spicy. I found that it started mild, then builded to almost an intense finish right down to my belly before softening out. I was able to pull out hints of honey mixed with cherry and aged apricot through the heat. The Single Barrel is a very good bourbon and on par with the other labels in the same price range. The burn may not be ideal for everyone, but it’s not unpleasant. The heat actually had a seductive effect for me as it made me want to keep going back for more. The difference between Four Roses Single Barrel and Four Roses Small Batch: Small Batch is blended from several barrels to achieve the desired flavor. Single Barrel is not blended (or cut with water), so you get a more pure whiskey in my opinion. 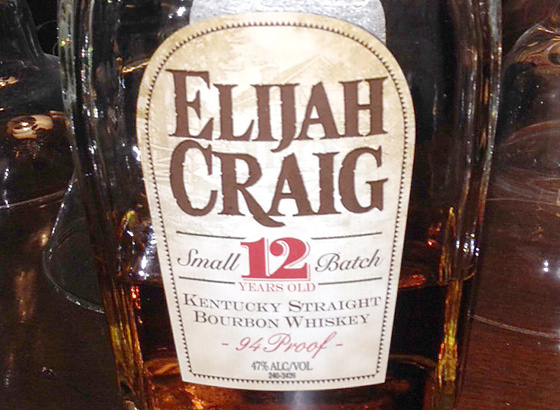 Elijah Craig 12 Year Old Small Batch is named for the minister who discovered the defining method of making Kentucky Bourbon when he stored his drink in barrels that had been charred by a fire. 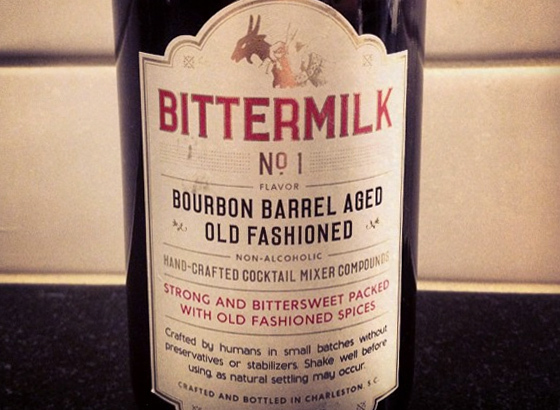 It is bottled from parcels of 100 barrels or less, giving it small batch status. In the glass, Elijah Craig has a good color and slight flowery scent. It is extremely smooth from the start, turning into a lingering comfortable burn, finishing with some impressive complexity. There is a maple syrup sweetness to it, but it softens quickly to allow flavors of smoke, toffee, and plum to come through. The oak on Elijah Craig is notable. It’s price-point is very reasonable for such a good bourbon. To be honest, I’ve overlooked Elijah Craig for years opting for other mainstream brands. It was always on my short list, but it always seemed to be passed over for no real reason. However, I am pleased to say that I have a new option for my rotation. 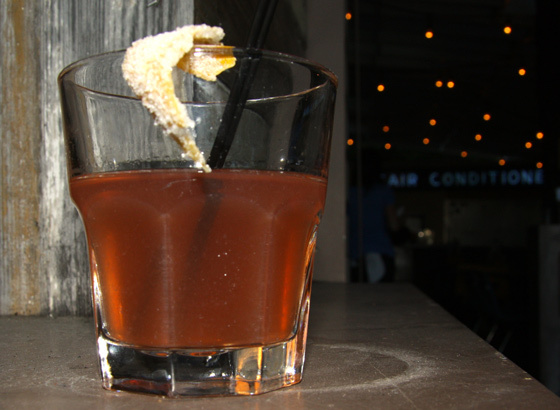 Lucy’s Fried Chicken’s Gone A’Rye, made with Old Overholt Rye, Luxardo, Campari and lemon, is sure to warm you right up. Mix all ingredients in a shaker tin with ice. Shake well. Stir until well chilled and strain into a cocktail (or highball) glass. And at drink.well., the Cat’s Pajamas stays true to its namesake, a lively blend of Four Roses Single Barrel Bourbon, Savory & James Creamy Sherry, Cynar, Bar Keep Chinese Five Spice Bitters and topped off with apple slices. Add all ingredients together and stir. 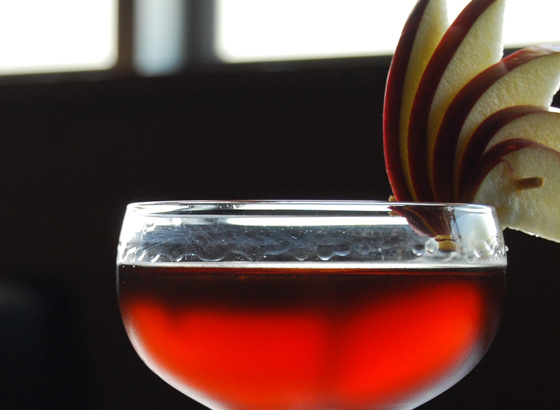 Pour into a chilled Leopold’s coupe and garnish with fanned apple slices. PennyPacker Kentucky Straight Bourbon Whiskey was the number one selling Bourbon in the European market in the 1970s, but was only introduced to the US market in the Spring of 2013. The whiskey itself is aged in white oak for at least three years, but the actual aging time is at the discretion of the distiller. The brand itself embodies vernacular American culture – Abraham Lincoln, the penny, and old glory are well represented on the label. The bottle shape, embossing, and typesetting also harken back to the days of old. PennyPacker has a fairly benign smell with a slight vanilla-poundcake scent, but not overpowering by any means. With 70% corn, it has a medium color and very light body. The taste is also subtle with hints of caramel and white pepper. It has a very long burn from the onset to well after the finish. A cube of ice mellows it out a lot and evokes some almond flavors. After I tasted it neat, I also tried PennyPacker with a Northern Neck Ginger Ale and ice which mixed well. 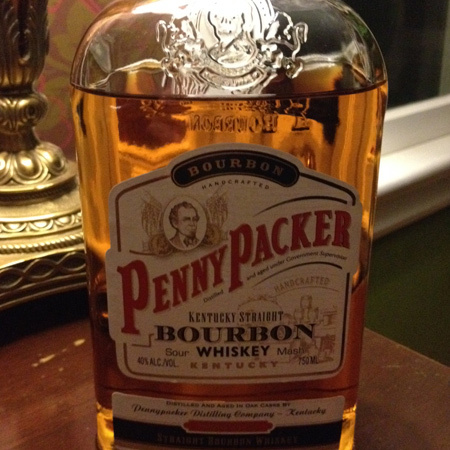 I think PennyPacker is on par with Jim Beam, but not nearly as sweet. I think it works well as a mixing cocktail as it doesn’t add unnecessary sugar to the mix.